The Gaspee Days Committee at www.gaspee.COM is a civic-minded nonprofit organization that operates many community events in and around Pawtuxet Village, including the famous Gaspee Days Parade each June. These events are all designed to commemorate the 1772 burning of the hated British revenue schooner, HMS Gaspee, by Rhode Island patriots as America's 'First Blow for Freedom' TM. Our historical research center, the Gaspee Virtual Archives at www.gaspee.ORG , has presented these research notes as an attempt to gather further information on one who has been suspected of being associated with the the burning of the Gaspee. Please e-mail your comments or further questions to webmaster@gaspee.org. The Gaspee armed schooner, commanded by Lieutenant Duddington, who had long vexed and troubled coasters and other vessels entering the port of Providence, under pretence of searching for contraband goods, chased a New York packet, commanded by Capt. Benjamin Lindsey, up the river. Lindsey was a better pilot than Duddington, and passed Namquit Point so near that the Gaspee in following him grounded, and as it was high water and the tide leaving him, he stuck fast. When Lindsey arrived with the news, a muster was made, and some-body set Daniel Pearce, a boy who had a drum, to beating through the street, and proclaiming that the Gaspees ashore high and dry below Pawtuxet. Before dark eight boats were manned, and Abraham Whipple appointed commander. We boys took another boat, and choose Ben Hammond for our captain. He was a fear-nothing fellow, with a lock of knotty red hair standing through the crown of his hat. "Being in the bow of the boat, I had orders from captain Hammond to cast off the painter and shove off the bow. The first I had performed, and when in the act of doing the second, Mr. Gladding, who at that moment had arrived to look for his boy, seized me by the wrist and pulled me on to the wharf, saying, ` you sha'nt go with those follows to get your head broke.' Thus I have no part in the boast of being of the Gaspee party, which the July orators say was the first act of the revolutionary struggle. "Governor Wanton, as his duty required, issued a proclamation, offering one hundred pounds sterling for the discovery of the perpetrators of this deed, and when admiral Montagu had sent an account of the transaction to England, a proclamation of the King and Council came over, offering a reward of one thousand pounds for the discovery of the commander of the party, and five hundred pounds for any others concerned. A high commissioned court, as it was called, assembled at Newport, to receive complaints, with authority to send the persons charged to England for trial. The admiral brought his fleet round from Boston, and lay in the harbor to protect the court, and also to receive the persons accused on board to be sent to the mother country for the purpose above named.
" The King's proclamation was posted on the pillar of the hay scales, which then stood near the north east corner of the Market house. It had not been there more than fifteen or twenty minutes, when Mr. Joseph Aplin, a distinguished lawyer, came up to see what had collected the crowd. Lifting his cane he struck it down, and it soon mingled with the filth of the street. This patriotic act, though he gave no reason for it at the time, was prompted by his regard for the safety of his fellow citizens. It is an honorable testimony to the character of the people of this town and State, that the Court with this bounteous reward, could get no person to inform, though all engaged were well known." Left: John Howland, by Lincoln 1848, courtesy RI Historical Society. John Howland was born in Newport, the son of Joseph Howland, Jr. and Sarah (Barker) Howland. He was apprenticed to Benjamin Gladding, a Providence barber at the age of 13. He was a well-known man of his time, and fought in the Revolutionary War. According to his pension application available at HeritageQuest through the NEHGS website, Howland served as a private for 13 months in Captain Dexter's Company of Col. Babcock's Regiment (subsequently Col. Lippitt's) of Rhode Island troops. He enlisted in January 1776, and saw action in the Battles of Trenton, Princeton, and Rhode Island. His application for pension was attested to by Gaspee raider Abial Brown. In 1788 he married a Mary Carlisle (1761-1845), daughter of John and Elizabeth Carlisle from Providence. They had thirteen children, eight of whom died before the age of three. His son Benjamin Howland died in Nashville, TN in 1827. We also discern that he had at least one grandson, a John H. Everett of South Kingstown, RI. The following snippets are culled from the Early American Newspapers collection available through the NEHGS, and from The Life and Recollections of John Howland: There was also a contemporary John Howland who was a lawyer and justice from Bristol, RI. Our John Howland served on the Providence fire wards, Providence Town Audit Committee, the Providence School Committee, and as secretary to the Providence Association of Mechanics and Manufacturers. He served as president of that Society from 1825 until 1830, and on occasions hosted Paul Revere down from Boston as a guest speaker. As a member of the School Committee for over 20 years, he became a vigorous proponent for public education and worked diligently to that end in helping establish the Providence School system. 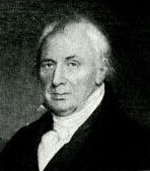 He was a Director of the Providence Library, Director of the Providence Mutual Fire Insurance Company, a member of the Benevolent Congregational Society, and in 1814 was on a Committee of Defense, engaged in erecting fortifications for the town at Field's Point in the event of an attack by the British. Between 1818-1831 he was appointed Providence town treasurer, and was treasurer for the Providence Institution for Savings , and for the newly founded Rhode Island Historical Society, serving as its president for his last 21 years. He was invited to be the keynote speaker on many occasions, including being drafted to be the orator at the original RI State Fair held in Pawtuxet in 1820. He was a member of various groups designed to give relief to: Portsmouth fire victims, New York Jews (provided, of course, they converted to Christianity), returning ex-slaves to the newly established Liberia, and of Thomas Jefferson in his decliniing years, the Rhode Island Peace Society, and the Providence Temperence Society. In 1835 he was awarded an honorary Master of Arts degree from Brown University. The pension act of 1831, brought forward many candidates for its provisions. The active measures taken in their behalf, proved a heavy tax upon Mr. Howland, who was constantly applied to from all parts of the State, as well as from abroad, for necessary information. The numerous applications from Rhode Island excited surprise at the pension office. They seemed disproportioned to the size of the State. How so small a State could furnish so many survivors of the revolutionary army, was incomprehensible. The doubts entertained at the department led to vexatious delays, and proved serious impediments to the success of claimants. At this moment, Hon. Tristam Burges, then a member of Congress, wrote to Mr. Howland from Washington, upon the subject. He said, that in - frequent conversations at the pension office, these doubts were freely expressed, and that until re-moved, little progress could be made in securing justice for the survivors of the Rhode Island line. Explanations were asked for that he could not give, and he now turned to one for aid, whom he knew to be perfectly familiar with the ground of these claims. " If Mr. H." he added, " would prepare a paper explanatory thereof, a most important service would be rendered to the remnant of the revolutionary patriots." Thus appealed . to, Mr. Howland immediately wrote a pamphet, entitled " Notices of the military services rendered by the militia, as well as by the enlisted troops, of the State of Rhode Island, during the Revolutionary War." In this pamphlet he shows that in the contest for freedom, Rhode Island was among the earliest and foremost, and that in various ways the State furnished more men for the service, according to population, than any other member of the union. He further shows, that during the war, every able bodied male, in the State, "except those of the profession of Quakers," between the ages of sixteen and sixty, bore arms ; and that " thus for a considerable time, the whole militia of the State were from home, leaving the women, the boys under sixteen, and the men above sixty, to perform the farming or other work." Al-though, he adds, " we may not now find many living who had arrived at the age of thirty years in April, 1775, when the war began, yet when we consider that the boys who were then only ten years old, were, two years before the close of the war, drafted for military service, we cannot be surprised at the number of applicants under the pension act." The great number of marine applicants from Rhode Island, he accounts for by the fact, that a large pro-portion of the officers and men attached to the first naval force created by Congress, and commanded by admiral Esek Hopkins, were from this State. A. copy of this pamphlet was sent to Mr. Burges. He presented it to the head of the department, and had the satisfaction of knowing that it accomplished the purpose for which it was written. He died 5Nov1854 having reached his 97th birthday. HOWLAND, John, author, born in Newport, Rhode Island, 31 October, 1757; died in Providence, Rhode Island, 5 November, 1854. He was descended from John Howland, a pilgrim of 1620, and an assistant of the Plymouth colony. The younger John removed to Providence in 1770, and served thirteen months in the Revolutionary army. He was for twenty-one years president of the Rhode Island historical society, and was skilled in the history and antiquities of Plymouth colony. He was the author of addresses, orations, and historical papers. While John Howland did not directly participate in the attack on the Gaspee, he did conspire to do so,and he did not divulge the names of those attackers he did know to the Commission of Inquiry. He was later a hero in his own right by fighting in the American Revolution. We therefore recognize him as an unindicted co-conspiritor in the Gaspee Affair.